Plants in the area around Fukushima, Japan are widely contaminated with radioactive cesium, which is producing mutation and death in local butterflies, according to a study conducted by researchers from the University of the Ryukyus, Okinawa and published in the journal Scientific Reports. The butterflies were found to experience severe negative effects at all detectable radiation levels, even very low ones. “We conclude that the risk of ingesting a polluted diet is realistic, at least for this butterfly, and likely for certain other organisms living in the polluted area,” the researchers wrote. The researchers note that although the 2011 meltdown of the Fukushima Daiichi Nuclear Power Plant released “a massive amount of radioactive materials … into the environment,” few studies have looked at the biological effects of this disaster. Researchers have, however, measured elevated radiation levels in the polluted area, and have chronicled the accumulation of radioactive material in both wild and domestic plant and animal life in the region. Studies have also suggested that insects may be particularly hard-hit by the increased radiation. One study found an increase in morphological abnormalities (physical deformities) in gall-forming aphids. Another found that insect abundance has decreased in the affected region, particularly butterfly abundance. In order to test the effects of the radioactivity on local insects, researchers collected pale grass blue butterfly (Zizeeria maha) larvae from Okinawa, which is distant from Fukushimaand “likely the least polluted locality in Japan.” They then fed the larvae on plant leaves collected from one of five different regions: Hirono, Fukushima, Iitate-flatland, Iitate-montane and Ube. 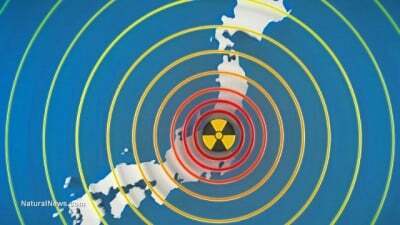 Because the five regions are all at different distances from Fukushima, the researchers expected that plants collected there would have differing levels ofradioactive cesium, which tests confirmed. The plants from Ube contained essentially no radioactivity, and were used as a control group. The pale grass blue butterfly is a species commonly found in many regions of Japan, including near Fukushima. The researchers found that caterpillars that ate radioactive leaves pupated into mutated butterflies that did not live as long, compared with caterpillars that ate non-radioactive leaves. These mutations and increased mortality were seen even in butterflies that consumed only very small doses of radioactive cesium. “There seemed to be no threshold level below which no biological response could be detected,” the researchers wrote. The more radioactive cesium that the larvae consumed, the greater the rates of mutation and early death. Indeed, rates of both problems increased more rapidly than dosage (a non-linear relationship). The study was not designed to test for similar effects on human beings, but the researchers warn that there is still enough evidence to be concerned. Two of the locations that radioactive leaves were collected from – Fukushima City and Hirono Town – currently have people living in them. In addition, the study findings were consistent with radioactivity levels found in plants following the 1986 Chernobyl disaster. The Chernobyl meltdown led to a sharp rise in infant deaths in locations as far from the plant as Western Germany and the United States. A recent study, published in the journalRadiation Research, linked a sharp jump in thyroid cancer rates in the years following that disaster directly to the amount of radioactive iodine that children were exposed to in the months immediately after the meltdown and explosion. The triple meltdown at Fukushima is now considered by many scientists to be the worst civilian nuclear disaster the world has ever seen, surpassing even Chernobyl. Both sites have yet to be fully cleaned up or sealed off.